China is now the world’s largest car market (of the 86m cars sold in 2017, 30% (25.8m) were sold in China, compared to 20% (17.2m) in the US, and 18% (15.6m) in the EU). Unsurprisingly, car manufacturers want to have access to this market. However, China has passed a law which requires any vehicle maker to obtain a new energy vehicle score of at least 10% by 2019, which rises to 12% by 2020, and on up to 20% of sales by 2025. As a result of this announcement, all the major OEM’s have suddenly found EV religion. A slew of announcements has followed about the 10’s of billions of dollars or Euros they are investing in their EV development programs and the partnerships or huge investments they are creating to secure their battery supply chain. The CEO of Porsche has even gone on record as saying that after 2030 all Porsche cars will be 100% electric. So, China has spoken, and the car manufacturers have listened. 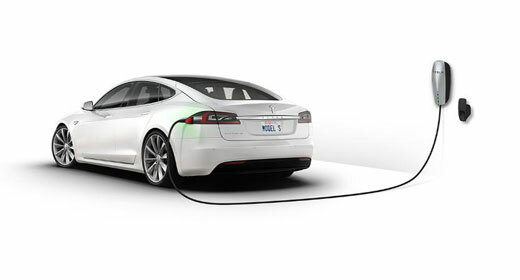 In the next 18 months, expect the number of electric vehicle models available to purchase, to increase significantly. The main cost of an electric vehicle is the cost of the battery. These price of these batteries is falling significantly. Lithium-Ion batteries cost $1,000 per kWh in 2010. By 2017 that cost had fallen to $200 per kWh, and it won’t stop there. At the Tesla shareholder meeting on June 5th of this year, Elon Musk stated that Tesla would be at $100 per kWh within 2 years. $100 per kWh is widely agreed to be the figure where EVs and ICE vehicles will have a comparable upfront purchase price. Lithium-Ion batteries are increasing in energy density at a rate of 5-8% per annum. Mercedes has said that their fully electric Mercedes EQC, which will come to market in 2019, will have an expected range of 500km. While the Tesla Roadster, which launches in 2020, has a stated range of 1,000km. When Electric Vehicles have a range of 1,000km, it is the ICE vehicles which start to have a range problem. Contrary to what many believe, the batteries in electric vehicles don’t degrade over time (or over miles/kilometers driven either). This is a graph of the battery capacity of Tesla Model S/X vehicles, and it shows that after driving 270,000km (roughly 168,000 miles), the batteries still had 91% of their original capacity. There are more details in this article, but the bottom line is that the batteries lose about 1% of capacity every 30,000km (18,750 miles). This means that the upfront cost of an electric vehicle can be depreciated over a far longer time lowering the vehicle’s total cost of ownership significantly – EVs will just keep on working. Having said that, this data is specific to Tesla batteries – we will have to wait to see how other manufacturers fare. Another factor in favour of electric vehicles is that they are far more reliable. The drivetrain in an ICE vehicle contains 2,000+ moving parts typically, whereas the drivetrain in an EV contains around 20. A quick scan of the top 10 cars repairs of 2015 is telling. Only one of these faults can happen to an electric vehicle (number 4, and it is by far the cheapest to fix). So why would anyone consider buying a car with an Internal Combustion Engine? Most people won’t. And consequently, the resale value of ICE vehicles will collapse. And if the resale value of ICE automobiles is going to collapse in 3-4 years, why would you buy one today? Think about that for a second. Why would you buy an Internal Combustion Engine vehicle today, if its resale value in 3-4 years will have fallen significantly? You wouldn’t. And when people start to realise that, the market will flip. And it will happen quickly. Sooner than most people think. Will your next car be an EV? And if none of that convinces you, maybe check out the rest of the specs for the Tesla Roadster – 0-100kmh (0-60mph) in 1.9 seconds, top speed of 400kmh (250mph), and range of 1,000km (620 miles). And I haven’t even mentioned the growing list of cities that are passing legislation to ban diesel engined vehicles from driving on their streets! One last thought, when electric vehicles start to become more common, drivers of internal combustion engine vehicles will be thought of the way smokers are regarded today. And, as fewer petrol (gas) stations will be needed, so they will either need to close down, or convert to electric fuelling stations. As they are shuttered, people with internal combustion engine vehicles will have to travel further and further to find a place to fill up. This inevitable vicious circle means it really is game over for the internal combustion engine.